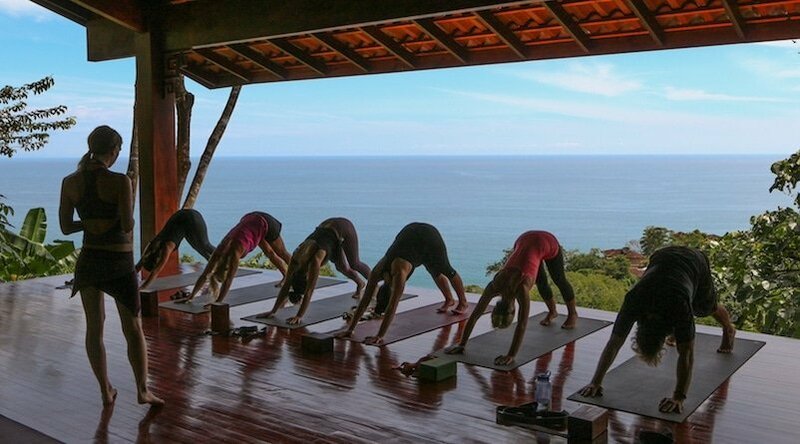 PACKAGES: We have a number of Yoga Retreats and packages we offer our guests. Try the Yoga & Adventure, Yoga & Rejuvenation, Yoga & Surfing, or the Pure Yoga package. For more information please read more about our Anamaya Retreat Packages. Or for those who are not totally into yoga, there’s no need to choose a yoga package at all – you can book all your activities and excursions A La Carte. We call it the Relaxation Retreat. WORKSHOPS: We’re excited to offer our guests 3 very special workshops this week. The first is called Back to Basics, the second is Intro to Yin Yoga, and the third is Clear and Balance your Chakras. More details on these workshops is below. Julie teaches a creative vinyasa flow class with emphasis on alignment. She encourages her students to cultivate awareness through paying close attention to their breath. Her classes are informative, challenging, and empowering. Julie lives in Saratoga Springs, New York with her two teenage boys, Andrew and Marcus. She has a B.S. degree in Marketing from Syracuse University where she was a dancer all 4 years for the football and basketball teams. She has been studying and practicing yoga for over 19 years. Some of her inspirational teachers include David Swenson (Ashtanga Yoga), Shiva Rea (Heart and Fire), Dharma Mittra (Maha Shakti), Sadie Nardini (Core Transformers), Natasha Rizopoulos (Back to Basics), Kathyrn Budwig (Glow and Flow), Beryl Bender Birch (Power Yoga), Janet Stone (Five Elements), and Sara Powers (Yin Yoga). She became 200 hour Yoga Alliance Certified in 2008 and is completing her 500 hours now with Janet Stone in San Francisco. She is employed as a teacher at Rise and Movement Yoga Studio, Rocksport, and Lake Placid Hot Yoga. Her classes include pranayama, visualization, and meditation. In addition to her yoga classes, she hosts 200 hour and 300 hour teacher trainings in both Saratoga and the Lake Placid area. She often travels internationally to Belize to share her knowledge, experience, and passion of yoga with the locals. 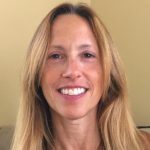 Also, she instructs and coaches the Saratoga Rowing Team and Albany Academy Varsity Lacrosse team in the benefits of yoga, pranayama, and meditation. Julie teaches yoga with passion and enthusiasm. Her playful and creative vinyasa flows keep the students present and engaged. She weaves in a spiritual message to her classes to get her students to think and reflect. She encourages her students to become aware of their habitual behavioral patterns by studying their physical asana practice. This self-study helps them to go inward in order to grow and blossom spiritually. Also, she inspires students to start new habits or rituals to nurture discipline in their lives. She believes the combination of discipline and self-reflection can lead to growth, clarity, transformation, and healing. Her intention is to be of service to others and to guide these students to growth and transformation. Her favorite quote by Carl Jung, “He who looks outside, dreams; he who looks inside, awakens”. Whether you are new to yoga or are ready to take your practice to a deeper level, exploring yoga fundamentals will improve your practice. Join Julie in this workshop to build on your yoga foundation by looking at alignment, transitions and yogic breathing techniques. Join me in a practice that will open your mind and body slowly and softly. Heal the body and renew your spirit! Yin yoga is a practice where you hold poses for 3-5 minutes in order to open the energy pathways. Yin improves joint mobility and reestablishes the calm balance that we all need in our over-scheduled and stressful lives. Yin is a calming, restorative practice that rejuvenates the body. The long, deep holds along with the focus on breathing encourages us to surrender control over our bodies. Yin helps break up the blockages in our connective tissue to create more freedom and movement. The seven chakras are the centers in our bodies in which energy flows through. These swirling wheels of energy correspond to massive nerve centers. Blockages of energy in these centers can cause imbalances in the body and can lead to illness and disease. Come join me in getting to know these centers of energy with their different qualities and characteristics. Then we will identify the chakras that you wish to open or explore. And lastly, we will learn how to activate these chakras in order to open up the energy lines to restore balance and heal the body.